Eva Hesse, Expanded Expansion, 1969. 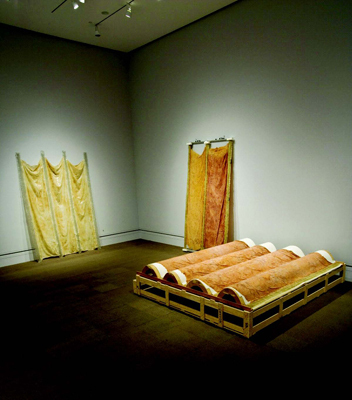 Installation view, J. Paul Getty Museum, 2008. From left: Exhibition copy of a section of the work, 2007; original left section; and original central section in storage crate.